The Shadow’s crime-fighting organization became fully-formed in The Chinese Disks, the novel which introduces his agents cabby Moe Shrevnitz, reformed former-crooks Hawkeye and Tapper, Pietro and the giant African Jericho Druke. 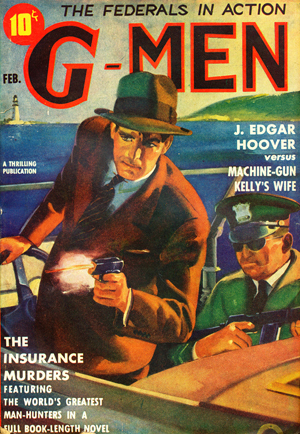 The novel is a sequel to Gibson’s first novel, “The Living Shadow,” and features the return of The Shadow’s first major foe, Diamond Bert Farwell. “This not only one of the most significant Shadow mysteries, but also one of the most satisfying,” observes pulp historian Will Murray in his historical commentary to the story. 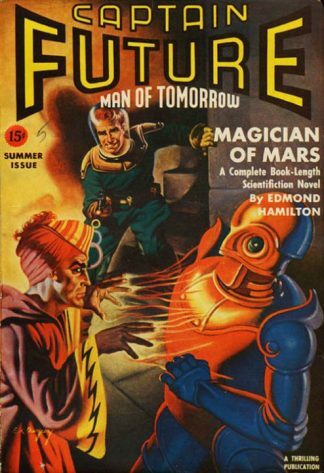 Malmordo is the final Shadow novel completed by Walter Gibson before his 1946 departure following a contract dispute, and ended his initial 15-year run on the title. 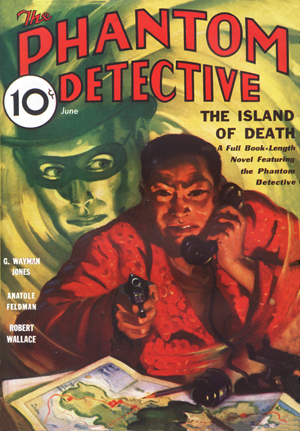 Murray observes, “In a very real sense, the series that had finally come together in The Chinese Disks culminated with Malmordo, one of Gibson’s top tales of the 1940s, and one which features the slimiest villain ‘Maxwell Grant’ ever created.” Features the original pulp cover by George Rozen and interior illustrations by Tom Lovell, who went on to become one of the 20th century’s greatest illustrative painters.